Want an easy way to be a direct part of the Motley Crew kennel? 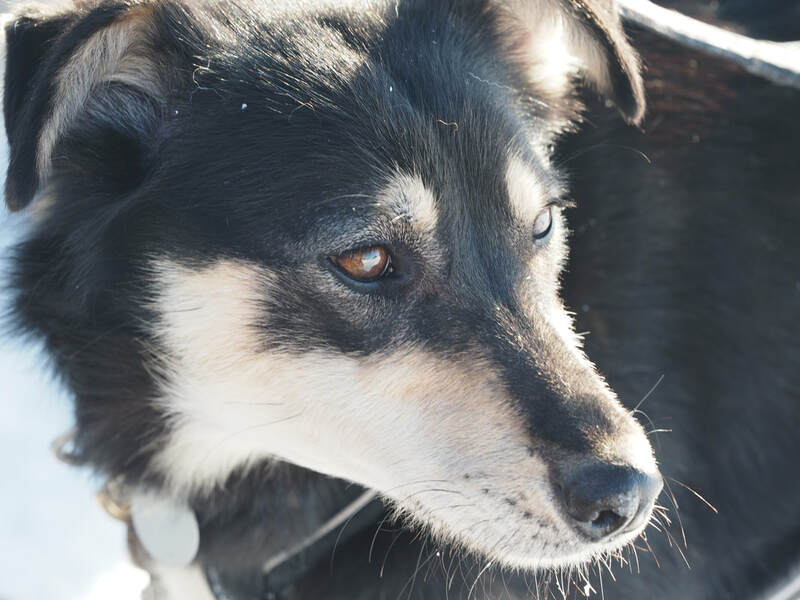 Become a member of the Motely Crew team and sponsor one of the canine athletes on the team. This money goes toward dog food for the dog you choose to sponsor. It cost over $900 just in dog kibble for each dog, not including dog booties, coats, vaccines, supplements, vet bills, ect. To sponsor an adult dog it costs $200, a yearling $100, and a puppy $50. 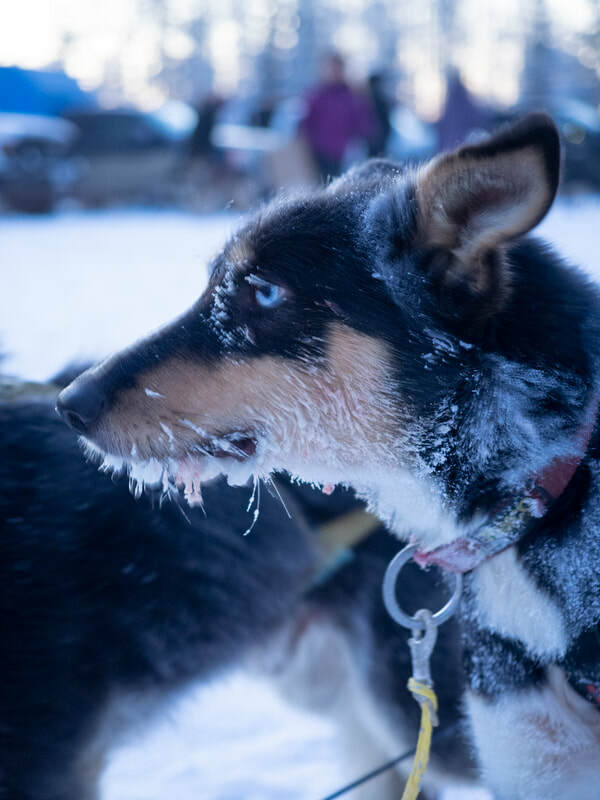 Upon sponsoring a dog you will receive a photo of the dog you sponsor, a Motley Crew t-shirt, and finally the pride of when your dog finishes races! Click the donation button beside the name of the dog you want to sponsor. 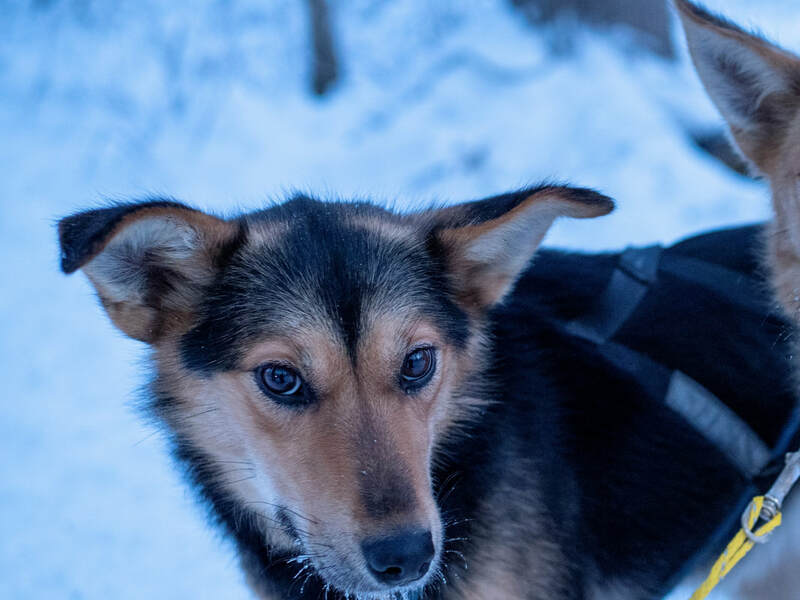 ​In addition to sponsoring a dog you can leave a donation under any amount that you choose by clicking on the donation button located under the tab from the menu labeled "Other Ways to Support Motley Crew". Ozzie--Born in 2011. Elsa (Forsberg bloodlines) X Rocket (Kleedehn bloodlines) This big boy is a standout. He's a happy go-lucky dog that never gets tired. He has all the qualities of a great race dog from a great appetite to a fast trotter. Noel--Born in 2011 Miles (Lance Mackey) X Rocket (Kleedehn) Noelle is an absolute sweetheart and loves to stay right by my side when she is loose. Mrs. Noel is the mamma of the airplane litter: Cub, Piper, Beaver, Cessna, and Otter. Noel is known in the team for her positive outlook even when we come across challenges along the trail. Boris--Cadzow bloodlines. Boris came to me along with Aurora in 2015 . This big boy adds a lot of power to my team. He is a pretty dominant male so I often run him in wheel with one of the girls of the team, usually Noel. He is a very tough dog! 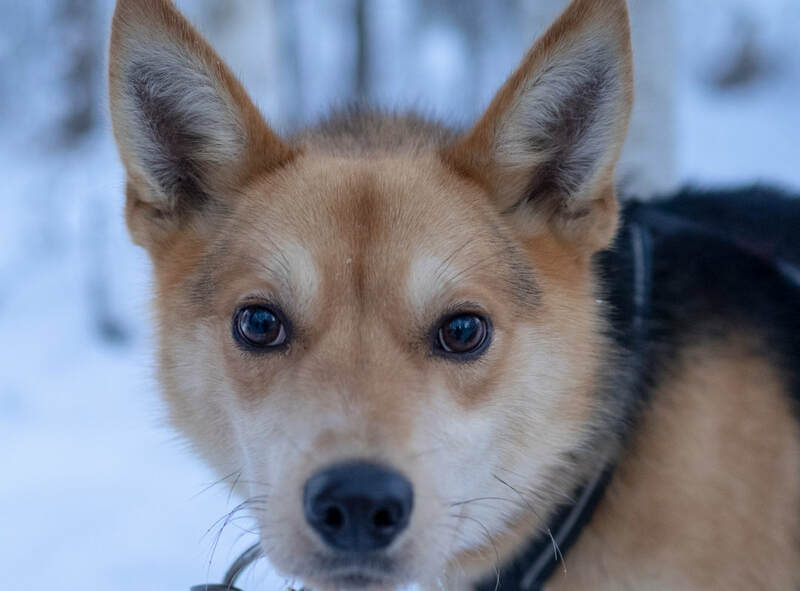 Popeye-Born in 2014 Elsa (Forsberg bloodlines) x Granite (Kleedehn bloodlines) Popeye is a very physically talented dog. Just like his half brother Ozzie he is always happy to hit the trail after camping and greet you with a warm, sloppy kiss.. Popoeye also has shown some potential for running lead! 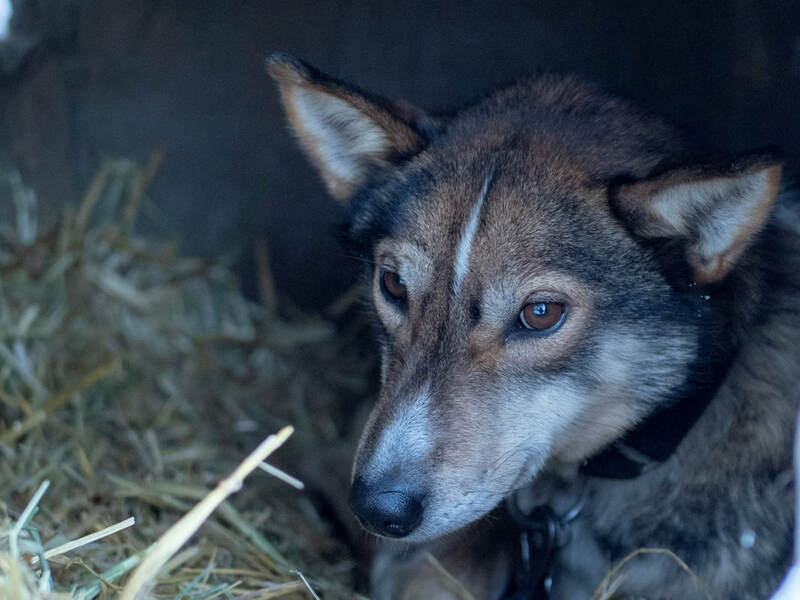 Genie--Born in 2014 Elsa (Forsberg bloodlines) x Granite (Kleedehn bloodlines). Jeanie is a little beauty that resembles her mom. A beautiful trotter with great endurance, excited to see what the future holds for her! Her energy astounds me, she is still bouncing in her harness after a 50-60 mile run. Banshee--Born 2015 Folsem x Bullet. (Mackey bloodlines) Banschee, like Genie is one of the most high energy dogs in the kennel. One always knows when Banchee is in the team from her excited high pitch bark. 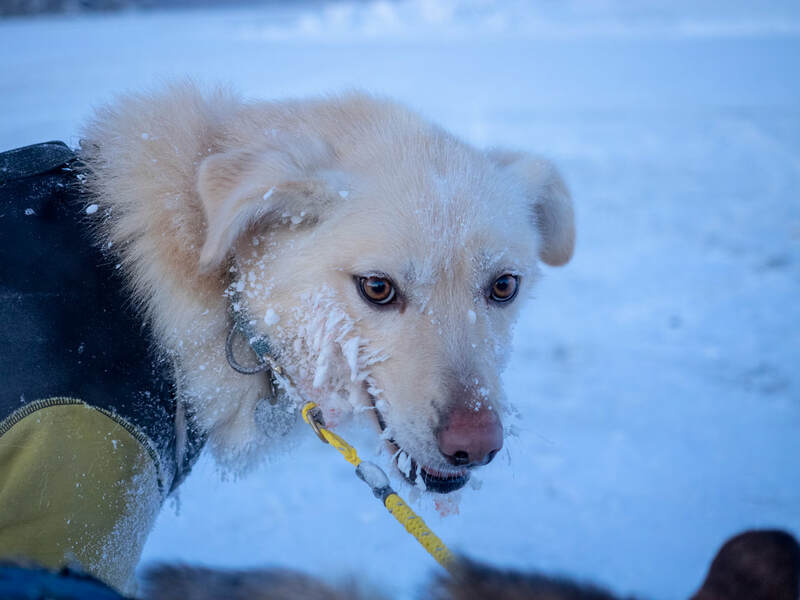 Banchee has incredible endurance and speed and has never been dropped from a race. Rajah--Born in 2016 Smarty x Folsem (Mackey bloodlines) Rajah is one of the most loyal, hard working dogs in the team. She is an extremely driven leader and will lope for hundreds of miles. Rajah is the perfect example of how a little dog can be such a stand out. She is the mama of the Aleutian chain litter. Her pups all have her sweet demeanor as well. Cub--Born 2016 Noel x Ideefix (Kleedehn bloodlines. Cub is one of the shyer pups of the airplane litter but once he gets to know you he warms up real quick. 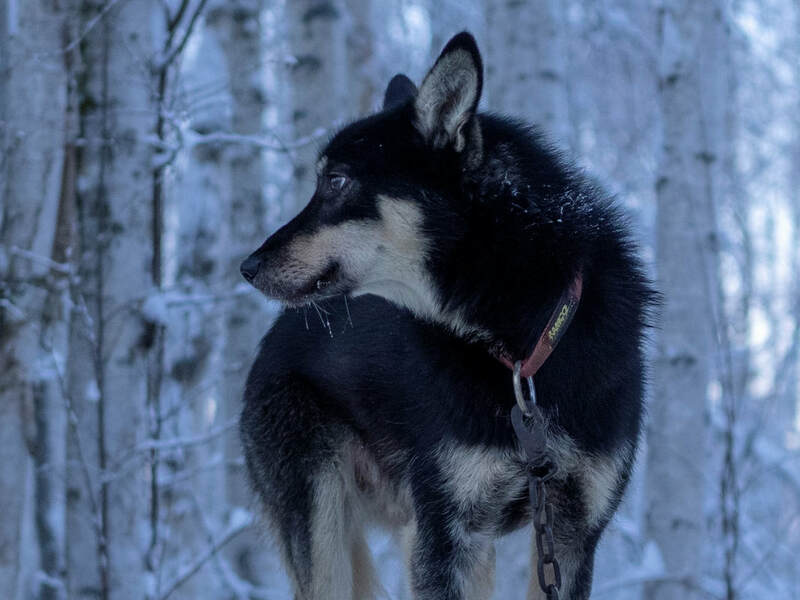 Cub is a very focused dog and has become a leader over the last year. Beaver--Born 2016 Noel x Ideefix (Kleedehn bloodlines). Beaver is always happy and just becomes ecstatic when you walk towards him with a harness. Beaver has become a leader over the last year and loves to co-lead with his brother Cub. Cessna--Born 2016 Noel x Ideefix (Kleedehn bloodlines) Although this little girl only weighs 35 lb don't let this fool you. This girl pulls weigh more than her weight and can tell a 60 lb dog to back off. This sassy little girl will run in any position in the team from wheel to lead. Otter--Born 2016 Noel x Ideefix (Kleedehn bloodlines). Otter is a very independent dog and always focused on continuing on our run instead of taking a minute to stop for a break. Otter similar to the rest of her siblings enjoys running in lead as well! Kyper--Born 2015 Persus x Sirius (Cadzow bloodlines) This young boy is a super friendly and high energy. With his long legs Kyper appears to move effortlessly down the trail. He has finished every race and I have high hopes that he may become a leader. Tyson--Born 2015 Persus x Sirius (Cadzow bloodlines) Tyson has a similar personality to his brother Kyper and is an extremely focused dog in the team. 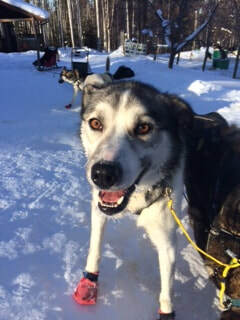 Tyson is happy-go-lucky and has started running in lead this previous season. Sagan--Born 2015 Persus x Sirius (Cadzow lines) Sagan has a sweet gentle personality. He is very easy going with other dogs but all business once he is in the team. Has a beautiful gait and is extremely focused during runs. Hawking--Born 2015 Persus x Sirius (Cadzow lines) Hawking similar to his brothers is a high energy dog that is extremely affectionate. Hawking is focused in the team and has a beautiful gait. Hawking started running lead this previous season and ran an entire 100 mile race in lead brining the team to victory in Two Rivers 100! Way to go Hawking! Nash--Born 2012 Persus x Sirius (Cadzow lines) Nash is the older brother to Hawking, Sagan, Tyson, and Kyper. Nash is shy of strangers but onces he knows you is a big loving giant. He runs lead and is great at training the youngsters of the team. Nash just joined Motley Crew last year! Boss--Born 2011 Thumper x JR (Cadzow lines) Boss man as we like to call him knows how to lead a team. 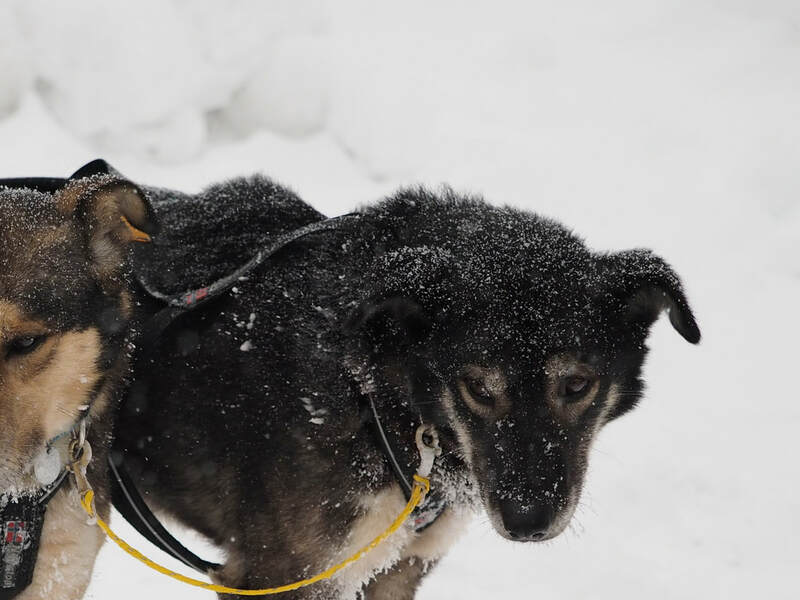 Boss just joined Motley Crew last year but has finished both Yukon Quest and Iditarod. He will help train the youngsters of the bunch. Evelett--Born 2013 Lady x Percy (Cadzow lines) Evelett is a super sweet little dog who also runs lead. She is spunky in the team but when you bring her in the house she loves to snuggle in bed. Evelett just recently joined Motley Crew as well. Samson--Born 2016. Bullet x Fossil (Mackey bloodlines) This is one leggy boy and he has the same personality as his half sister Banshee. He has a crazy enthusiasm to run and you always know when he is in the team by his loud excited bark or scream! Kiska--Born May 2017 Rajhah x Grizzly (B. Mackey) This little girl is so sweet. She loves to snuggle right up next to me and absolutely loves belly rubs. 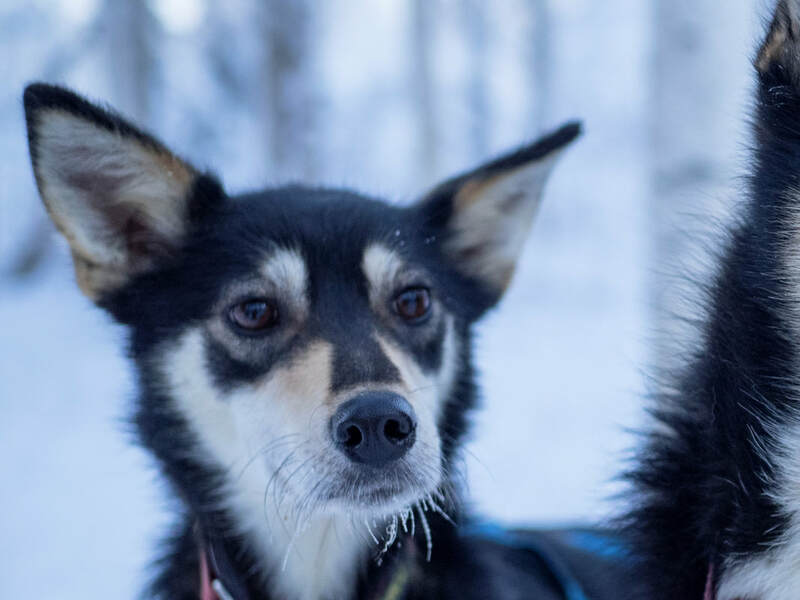 Kiska reminds me so much of her mama Rajhah by both her markings and temperament. Adak--Born May 2017. Rajhah x Grizzly (B. Mackey) Adak is one of the speedy pups of the little and loves to race in front of her brothers and sisters. She has one blue/brown eye, so beautiful! She is quite the spunky little one. Trident--Born May 2017. Rajhah x Grizzly (B. Mackey) Trident has stunning blue eyes and like his sister Adak loves to run fast! Trident is the goofy one of the litter and loves to star at you with his head cocked to the side. Such an inquisitive dog! Fisher--Born May 2017. Rajhah x Grizzly (B. Mackey) Fisher has very similar markings of his father Grizzly. This boy loves to run and has spent a great deal of time this season running in lead for the yearling team. Pavlof--Born May 2017. Rajhah x Grizzly (B. Mackey) Pavlof is one of the largest boys of the litter. He is very affectionate and loves to snuggly up close for extra love and attention. This boy is also quite the flirt with the ladies. Sponsored by Charlie and Cheryl Ess! Andronica--Born May 2017. Rajhah x Grizzly (B. Mackey). Andronica is one of the most outgoing of the bunch. She loves to come jump right on me and beg for kisses. A very sweet and outgoing girl. Nagai--Born May 2017. Rajhah x Grizzly (B. Mackey) Although Nagai has different coloring and markings than her mama Rajhah their personalities are very similar. This girl loves to please and absolutely loves to run. I foresee her leading the team in the future as well! Hess--Born September 2018. Boss x Evelett (Cadzow). This boy is already known for his unique facial colorings and loves to explore new places when we go on puppy walks. Ambler--Born September 2018. Boss x Evelett (Cadzow) This little man almost looks like a twin to his sis Delta. 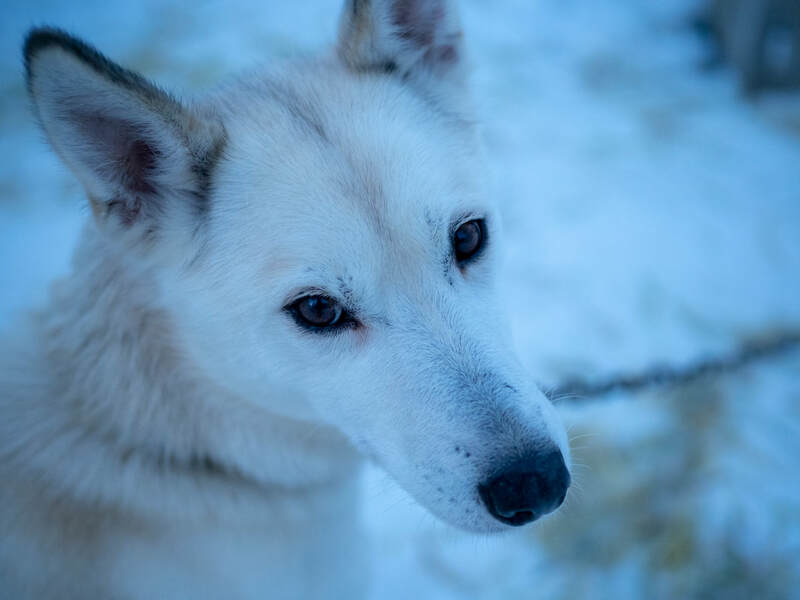 Kobuk--Born September 2018. Boss x Evelett (Cadzow) This boy is a spitting image of his mama! Firth--Born September 2018. Boss x Evelett (Cadzow) This boy is the smallest of the group but makes up with it with his feisty personality. 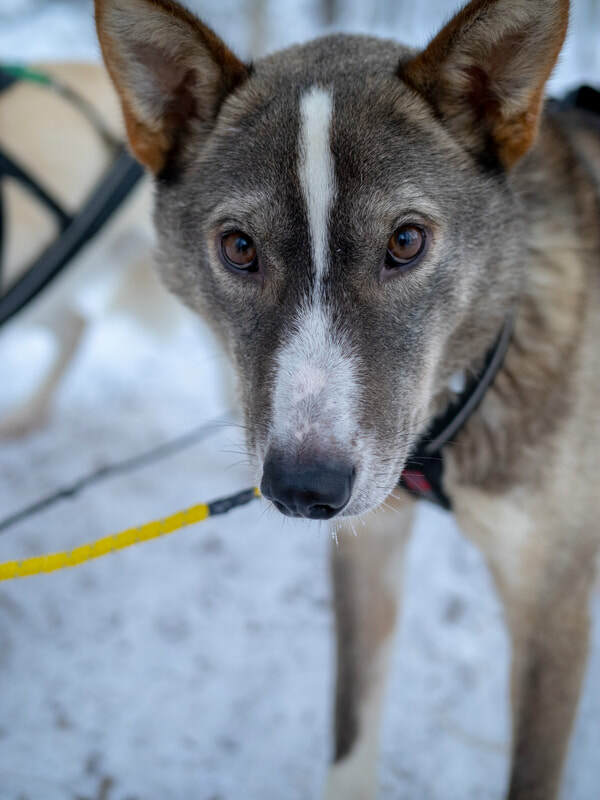 Chena--Born September 2018. Boss x Evelett (Cadzow) This little girl loves to lead the puppy pack when they go for walks. Kandik--Born September 2018. Boss x Evelett (Cadzow) This boy is all about being the first to the food dish during feeding time. Kenai--Born September 2018. Boss x Evelett (Cadzow) This little boy is a bit bashful at first encounters but once he knows you he is all about puppy kisses. Delta--Born September 2018. Boss x Evelett (Cadzow) This sweet girl likes to follow alongside me when we go on puppy walks.